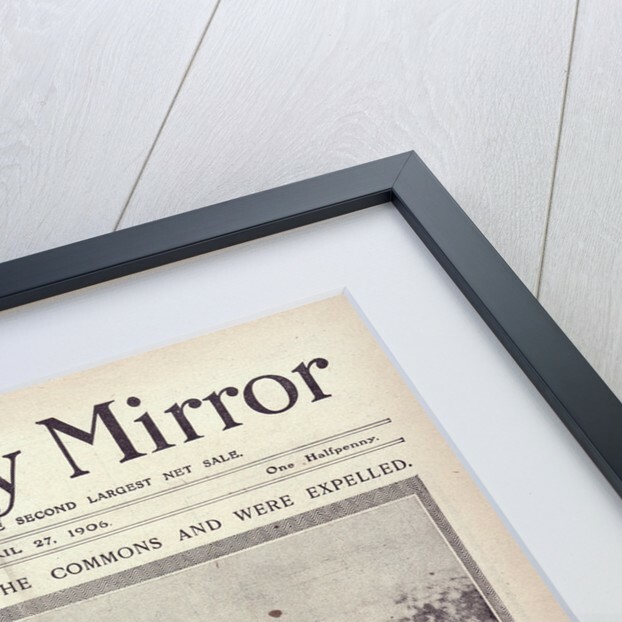 The front page of the Daily Mirror for Friday 27 April 1906 (the morning journal with the second largest net sale). 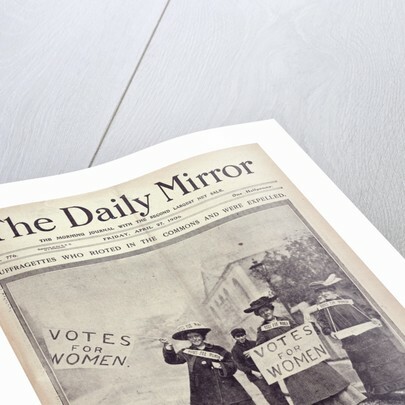 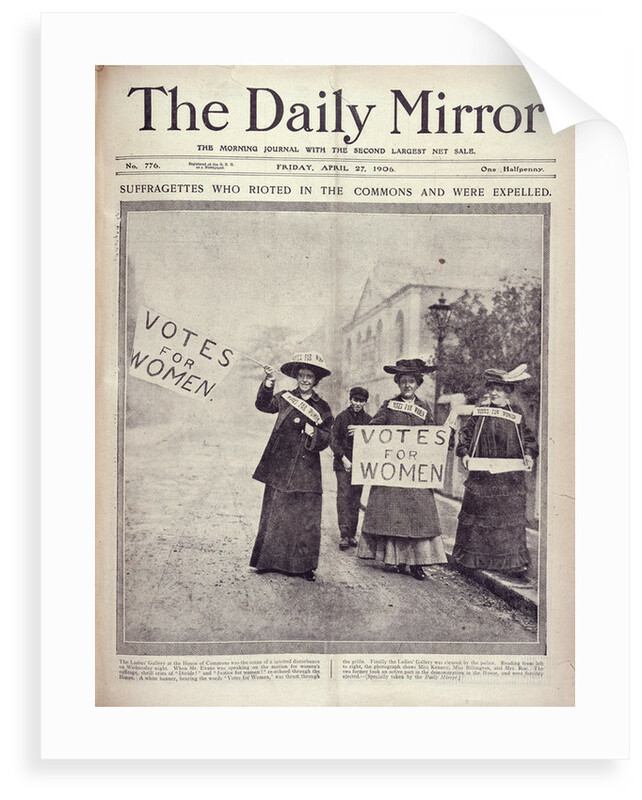 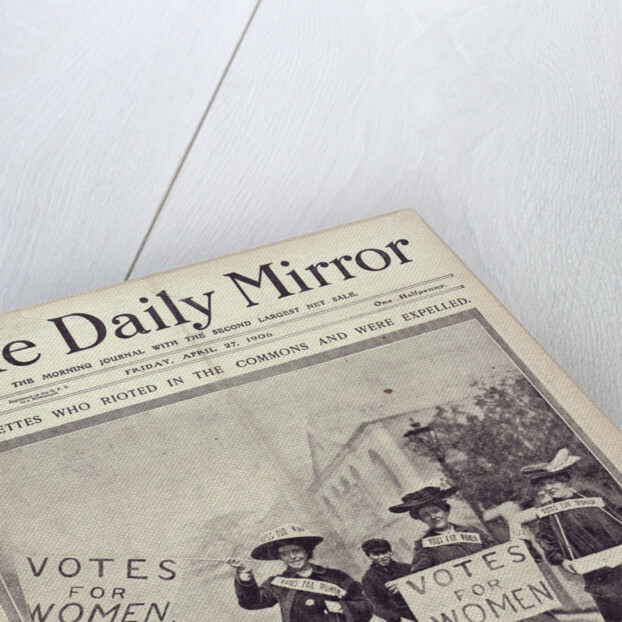 It features the headline 'Suffragettes who rioted in the commons and were expelled', and below features a photograph of some of the women cleared from the House of Commons: Miss Kenney, Miss Billington and Mrs Roe. 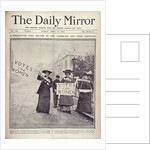 The women are holding Votes for Women placards.